Washington's Green River has been plagued with development, forcing flood control measures that hurt salmon habitat, along with pollution and trash dumping. An old tree farm in Kent will soon grow something new, but not on land. The logged timber is headed for the Green River. "We have to dig down about 20 feet. Our project site here is 22 acres in size," explained Matt Knox, Kent Environmental Supervisor. "We're talking over 200,000 cubic yards of dirt, which is a huge project — a huge earthmoving activity." The Green River has been plagued with development, Knox says, which has forced flood control measures that hurt salmon habitat. It's also a regular victim of pollution and trash dumping. The hope is that by creating new portions of the river through side channels, and re-routing the nearby road, the Green River will become more hospitable to salmon for many reasons. "We're hoping we're going to build these side channel networks and they're going to be able to find this off-channel habitat. Then they'll grow about twice as large before they head out to the ocean," Knox said. "We no longer have these areas where the salmon can get out of the flood waters. They are pretty much stuck in the main channel and they end up heading straight out to the ocean faster than we'd like." 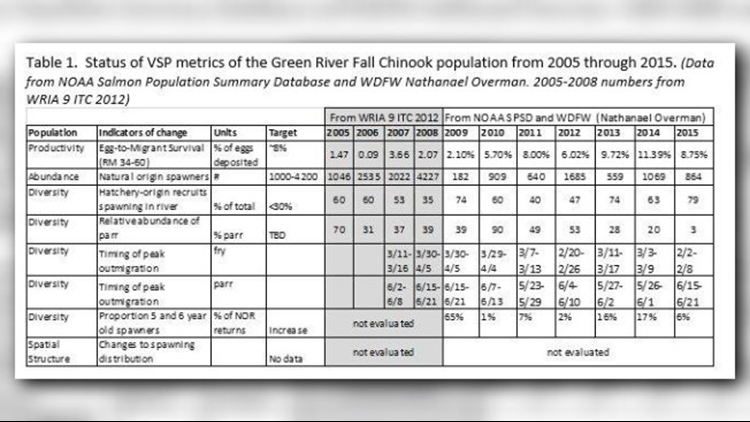 Knox says even just a few more weeks in the river would help juvenile Chinook survival by 10 times their current rate. 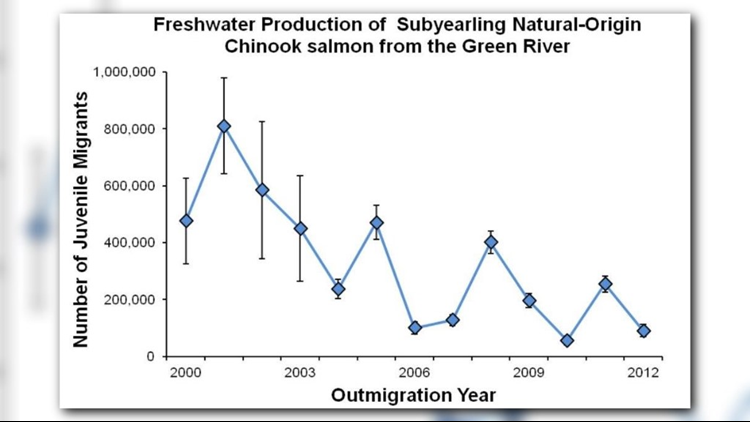 The Green River has averaged only about 400 pairs of wild Chinook salmon per year over the past 7 years. "I think even now it's going to take some Herculean effort to really improve the salmon runs to a sustainable level," Knox said. 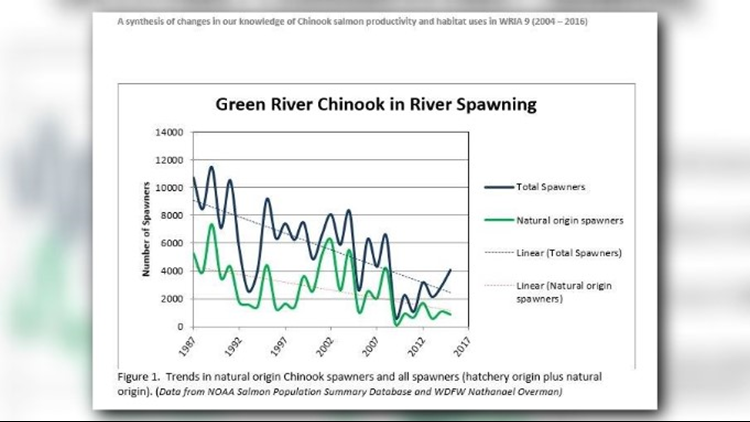 Other projects like this one are focused not just on salmon but on another endangered species that relies on salmon, the Southern Resident killer whales, who need fish from rivers like the Green River while feeding in Puget Sound in the summer. "This is really the only chance. If we don't have these off-channel areas for the juvenile salmon, we're really not confident that the fish are going to survive in these urbanized rivers like the Green River," Knox said. This project alone will cost $7 million. It's expected completion date is sometime in 2020.